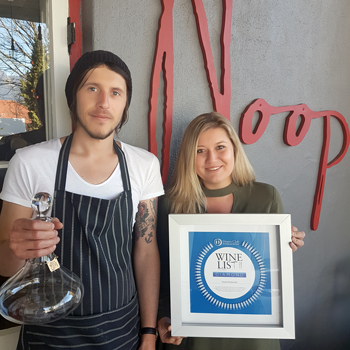 It is a prestigious confirmation that Noop Restaurant has a fine and well thought-out wine list that compliments the menu. The Winelist awards have been around for over two decades. The judging criteria grades wine lists from Silver, through to Gold, then Platinum and finally the highest award level, Diamond. 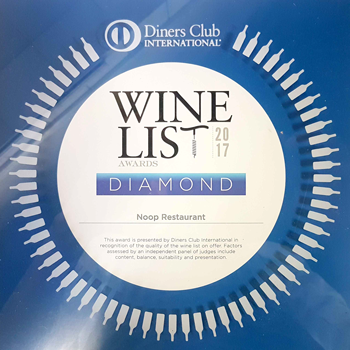 A Diamond list contains excellent wines in all categories; includes exciting new wines and classic labels as well as a reserve list of aged wines and a good international wine selection. Furthermore, it contains numerous and interesting wines by the glass, representing many wine categories. 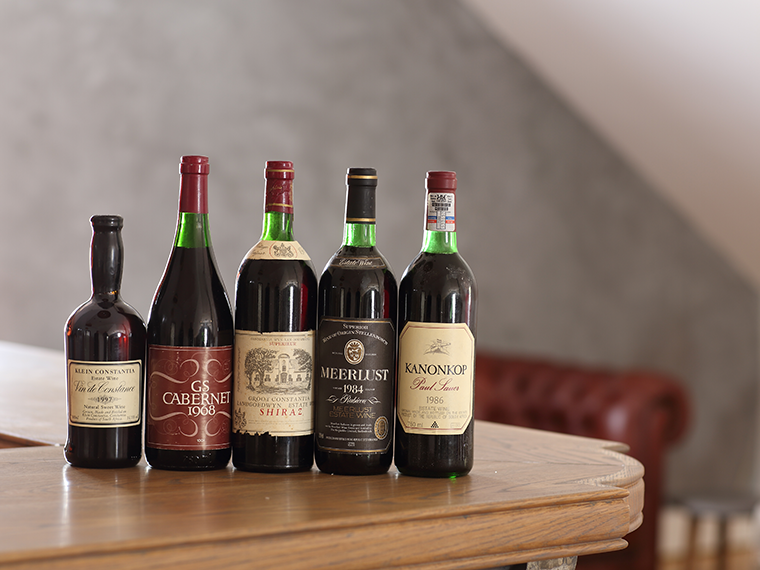 Hard work on our Wine List and Owner’s Cellar, with more than 350 different wines and vintages as far back as 1966, has been rewarded with this prestigious award. We thank everybody that contributed to achieving this.